In all honesty, these discussions are amazing because you guys are an incredible bunch of people i’m lucky enough to be able to reach out to! so THANK YOU!!!! Facebook is a little more conversationally organized, but there is no way to find these conversations later! And Direct Messages on twitter started as well… a few on facebook too! NOW… as for what i actually got out of all of this? And for those who are already friends + followers ~ other conversations i’ve been considering collecting up together to share…. 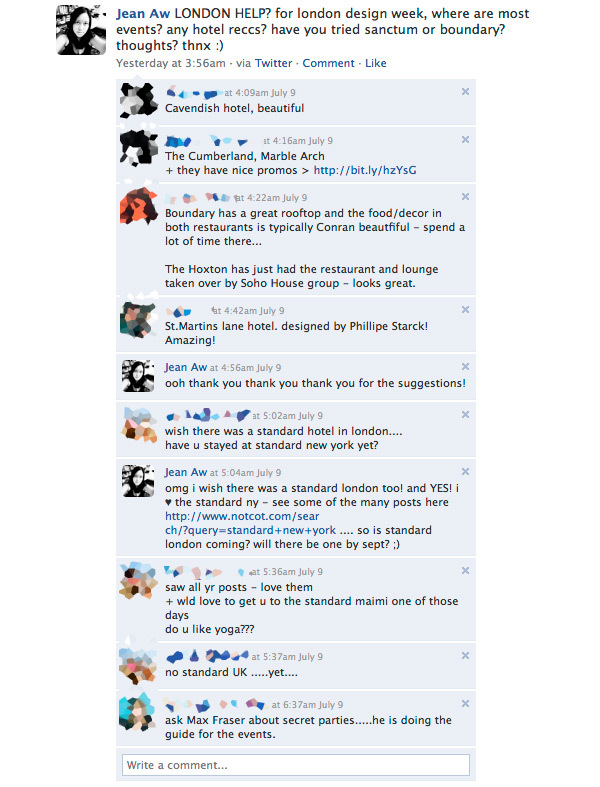 i love how amazing the responses were on iphone apps and british design blogs were! AHH! I wish I had this when I was in London last month. 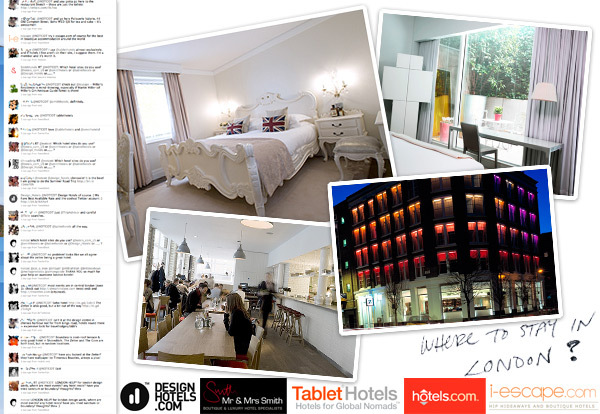 But whenever I need a hotel in Europe I go to Last Minute Travel and usually I can find everything I need on that website :) From designer hotels to hostels - depending on what I feel like this year.